You are here: Home » Broadway’s ‘Hamilton’ — Is It Really All That? Broadway’s ‘Hamilton’ — Is It Really All That? 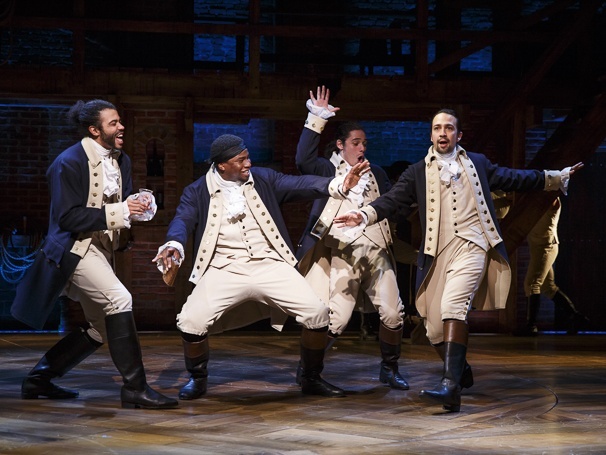 For the past year, American founding father Alexander Hamilton’s name has likely been said more than in the past two hundred years combined—all thanks to the staggeringly popular Broadway hip-hop musical, Hamilton. Production still courtesy of Joan Marcus. Copyright Broadway.com. Created by composer, writer, and actor Lin-Manuel Miranda, Hamilton tells the story of the life—and infamous death—of Alexander Hamilton. 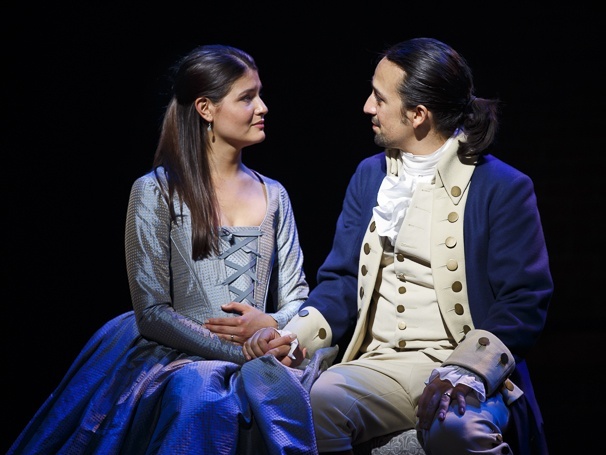 Now in its ninth month on Broadway, Hamilton is breaking theater records left and right. It ran a sold-out off-Broadway run at New York’s Public Theater, and transferred to Broadway’s 1300-seat Richard Rodgers theater in August 2015. The show has received enthusiastic critical acclaim and unprecedented advance box office sales, as well as won the Grammy Award for Best Musical Theater Album and the Pulitzer Prize for Drama. It’s highly favored to sweep at the Tony Awards this June. People everywhere are talking about Hamilton. For those interested in seeing the show, good luck getting a ticket—it’s currently sold out through January 2017. There is hope, however; a separate sit-down production of Hamilton will open in Chicago in September 2016, and a national tour is getting ready to launch in early 2017. There are even talks of the show opening in London next year. With four productions of Hamilton about to be running simultaneously, it should begin to get easier for people to see. But big hype and expensive ticket prices beg the question: is Hamilton actually as good as they say? I was fortunate enough to snag a ticket to see the show in New York in early April, asking myself that very same question. By the end of the musical, almost three hours later, I had my answer. The reason Hamilton is sold out, the reason the show is being praised by critics, and the reason it’s winning awards is because—no doubt about it—it is just flat-out good. The production team behind Hamilton has assembled an incredibly talented cast, whose voices can handle switching back and forth between singing and rapping effortlessly. Even the understudies who took on principal roles the night I saw the show were incredibly talented and had their roles down pat. This is a great sign for the other productions that will go up over the next year; performers who are not the original cast can indeed handle the fast-paced score. But besides the actors who brought this historical figures to life, this show is just plain well-written. 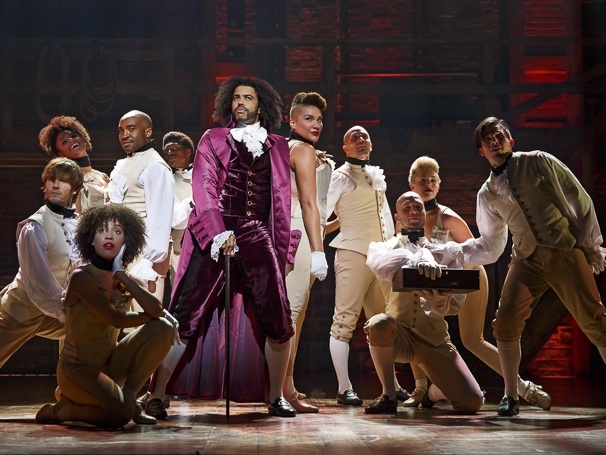 The use of modern language, a variety of musical styles (the show is not solely hip-hop and rap), and a racially diverse cast helps the audience understand the story of Alexander Hamilton and the founding fathers. These characters are not unrelatable, stuffy historical figures; they have urgency, desires, passions, and flaws. Until Hamilton, I never thought I would relate to Angelica Schuyler or feel sympathy for Aaron Burr—honestly, I barely knew their names. But the show has used letters, historian research, and a little bit of artistic license to turn these names into breathing, whole characters. The show is almost wholly rapped and sung, and each character is given a reoccurring musical motif that alters depending on their journey. Lyrics with one meaning in Act I are heard again in Act II under deeply different circumstances, helping to hit emotional notes and tell a story. Inflection, rhythm and even the actors’ breaths are arranged in such as way as to add more layers to the show. Hamilton also uses choreography, staging, and lighting in incredibly effective ways, helping to further ground the characters in reality and highlighting parts of the story that weren’t as apparent to me when listening to the cast album. There’s comedy and there’s tragedy; the audience was laughing and crying right alongside me. And, let’s face it: the songs are just so damn catchy. Is Hamilton perfect? Of course not—I think it’s impossible to create a show with literally zero flaws, problems, or issues. The show isn’t perfectly historically accurate, unsurprisingly; events have been shuffled around somewhat and certain aspects of these historical figures are left out of their characters. The show moves so fast and is so lyrically dense that it’s almost impossible to understand completely everything being said upon first listen, though the cast’s diction is excellent. Every so often there’s a rhyme that feels almost lazy compared to some of the complex ones surrounding it. There are one or two songs I could mostly do without and skip over when listening to the cast album. But there is an excitement and an energy to Hamilton that, even as an avid theater-goer, I don’t think I’ve ever experienced. There is something about the show that’s resonating with audiences and critics alike, beyond the technical prowess the show displays. Hamilton is a musical force to be reckoned with—one that left me breathless. Keep an eye on the ticket sales for those new productions, folks. Chances are, they’ll be snatched up fast. If you want to be in the room where it happens when those first strong notes kick off the show, you’d better not throw away your shot! For more on “Hamilton” and information about ticket sales and upcoming productions, visit their website. You can also follow the show on Twitter.